This was not exactly an ideal half marathon training week. I had a few things working against me such as my period, the time change and my son’s hockey schedule, which definitely made things challenging. Notice I don’t even blame the blizzard! It’s not that I missed a workout, no, it’s that I needed to modify things to fit how I was feeling and where I needed to be. This is not a bad thing. In fact, I don’t really care that I ran less or didn’t run the training workouts that were planned or that I chose to sleep a few extra minutes some days because I was tired. It happens. This is what we call real life workout recap. First dark morning in a while meant I didn’t feel like changing out of my pajamas. I am lucky I even got out of bed! I combined two Pure Barre Tone in 10 workouts while still wearing my pajamas under the assumption that 20 minutes of Pure Barre would wake me up enough to find motivation to get dressed and run a few miles. I felt much more awake once I finished Pure Barre in order to get dressed for the gym. 4 easy miles on the treadmill following my easy run on the treadmill workout plan. The plan for today was 5 miles easy + 3 miles fast finish for a total of 8 miles. However, I woke up with my period which I knew had the ability to change my workout plans. I made it 5 miles easy on the treadmill but my feet had their usual time of the month stiffness/achiness feelings so instead of attempting speed, I switched to the elliptical to finish up the workout. The elliptical takes the pressure off my feet which made me feel a whole lot better. A delayed school opening meant I could sleep a little later and workout a little later! Time change or no time change, lately I just can’t get moving as early as I could in the past so the extra lounging time this week has been perfect. 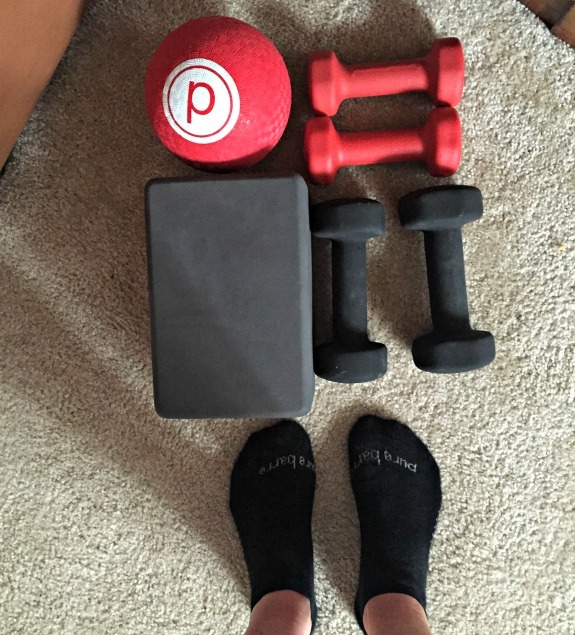 I started with a Pure Barre Mile High DVD (disc 1) and then went to the gym for the elliptical. Running on the treadmill multiple days in a row just doesn’t work for me so the elliptical seemed like a great alternative option for cardio. Thirty minutes on the interval setting, ranging the resistance from 5 – 15. My heart was pounding way more than when I run a few easy miles so I felt really accomplished today with my cross training effort. 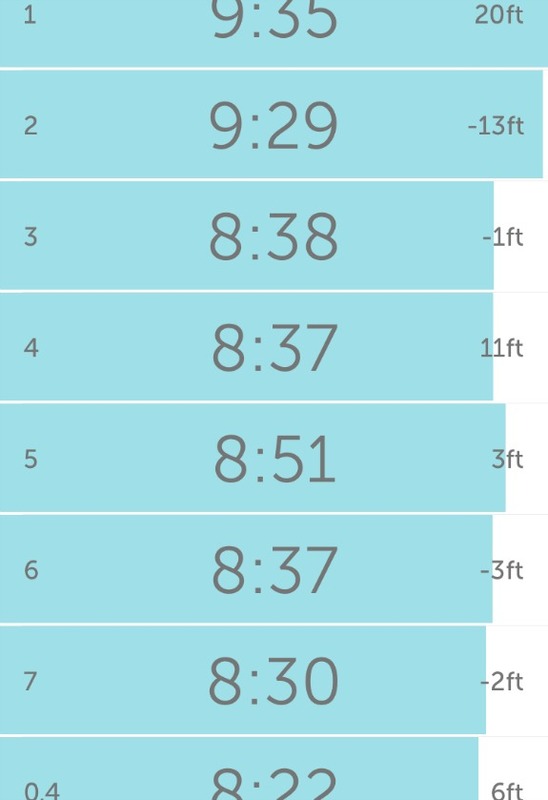 The plan for today involved something like a total of 8 miles with 2 x 15 minutes at tempo pace. HA. I am laughing that I woke up thinking that would happen. I made it through a one mile warm up on the treadmill before switching to the elliptical machine. My feet were bothering me today even worse than on Tuesday. This time of the month is killer for me sometimes! I have no idea why my feet get so bothered but it’s got to be hormone related as it happens to me all of the time during my period, some months worse than others. I switched to the elliptical for 10 minutes thinking that would warm me up enough to try running again. However, when I switched back to the treadmill, I only made it another mile before giving up on my run and going back to the elliptical. Workouts like this happen and there’s nothing I can do, you know? It’s just part of being a girl. I finished things up with several rounds of jumping jacks and some squats for fun. 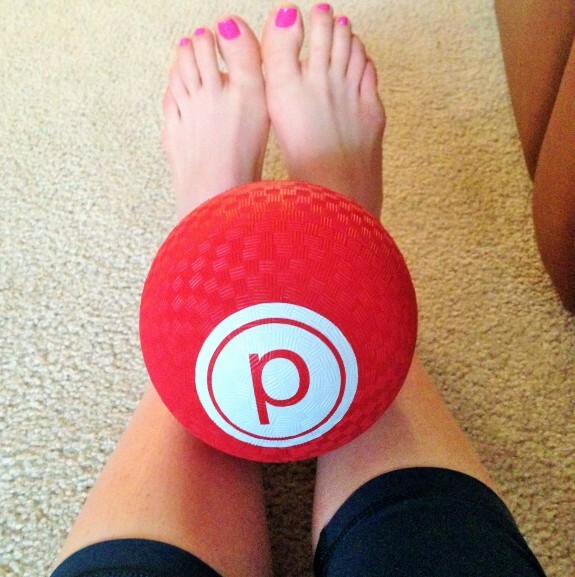 I really wanted a good Pure Barre workout today so I went with Pure Barre Studio Series (disc 1) which is a 45 minutes Pure Barre workout. Lately I feel so rushed during Pure Barre and I don’t like that feeling. I didn’t want to feel rushed today during Pure Barre so I chose to run a little bit later than normal just to give myself some extra time. While I can’t always run later in the morning due to scheduling, it can work for me a few mornings a week especially if I am only running a few miles. I even got to run outside today! Later in the day, I went to Runner’s Edge to pick up a new pair of Energy Boosts. Even though the issue with my feet earlier this week was due to my period, I could sort of tell that I reached the end of my Boosts too. My running shoes typically last me somewhere between 3-4 months before I start to notice the padding under the toes starting to go. 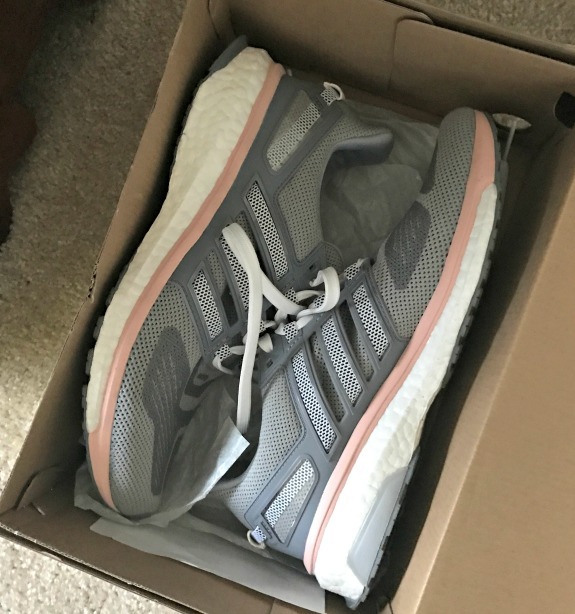 I am not good at running my shoes into the ground (which may be why I stay injury free, at least that’s what they tell me in the running store). So my son had a 9:00 pm outdoor hockey game last night followed by a 9:00 am game on the schedule for this morning. I was praying that the weather forecast would be accurate (snow/rain) so that the game was canceled – but it wasn’t. I know, terrible mother, but come on – 9:00 pm last night followed by early morning game the next day? Please. I squeezed in a little over 7 miles before getting my son to his game (he needs to be at games 30 minutes prior to start time). No long run for me today but will run a few miles tomorrow to balance things out I guess. I was so super confused all day yesterday because I didn’t run long in the morning! My body wasn’t fatigued from the mileage (although I was tired anyway due to not sleeping enough Friday night). I am definitely going to run at least 5 miles today, maybe more depending upon how I feel once I am out there. Are you due for new running shoes? Which shoes are you currently running in? How is the weather by you? Are you able to run outdoors? Anyone else extra tired lately? I was just working on my post for tomorrow and I feel like my week of workouts was all screwed up too- but not necessarily it a bad way, it was just annoying. I definitely felt the affects of DST early in the week. We still had ice on the ground yesterday, and I woke up to freezing rain this morning and now its snowing. Ugh. 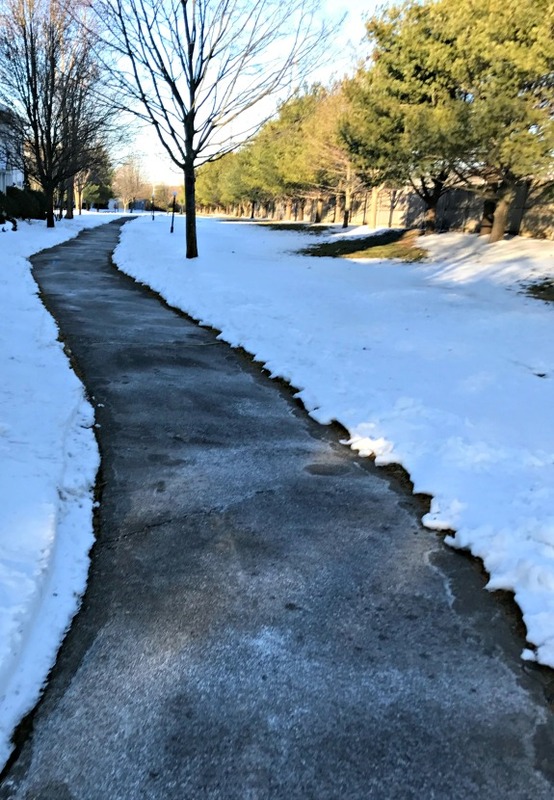 we got lucky – it was supposed to snow here again last night into this morning but it didn’t! I seriously need new running shoes! The fact that I’ve only been running 1-2x per week though makes me keep putting it off. I have the hardest time running in burned out shoes but sometimes, it takes me a little while to get to the store! This week I was stress, so I ran too hard, and I’m injury. Maybe I need new running shoes and I need to make a plan again.